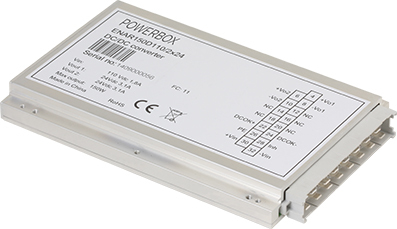 The Powerbox Railway Line product range is a family of high density power supplies intended for applications demanding extremely high performance on both reliability and electrical safety. The products utilize innovative technologies and offers both DC/DC and DC/AC conversion, offering a wide range of inputs and output combinations. The portfolio includes high density cassette type converters as well as chassis- or wallmount converters. 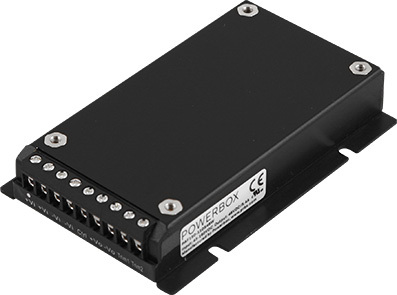 The PAF150 and PAD150 Series DC/DC converters come in ready to use six-side shielded enclosure with convinient terminal block connection. 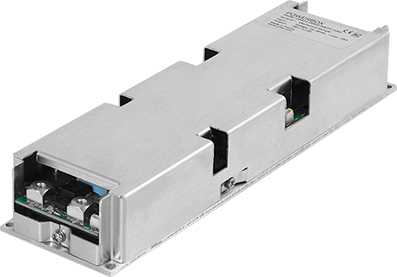 The units have wide 4:1 input range that covers all railway EN50155 power bus voltages including transients. The output can be adjusted to battery float charging voltage and is equipped with constant current over current protection making the unit suitable for charging batteries, capacitors or for other loads with high inrush currents such as halogen lamps.